With Australian property markets in flux, it’s hard to find certainty or for that matter industry expert consensus, on whether the market is likely to strengthen or weaken. 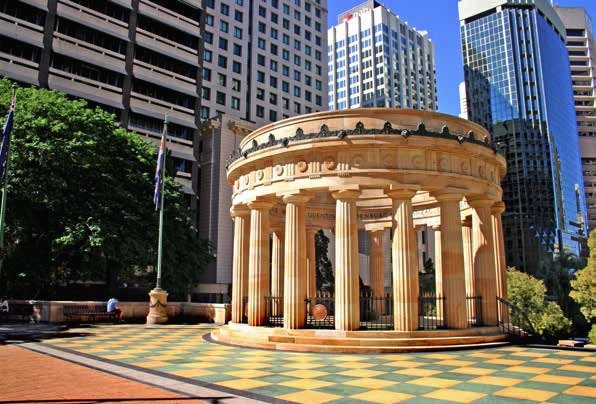 The overriding opinion on Queensland property however, and Brisbane in particular, is that it’s on the up, and definitely a market worth keeping a close eye on..
Brisbane, or the ‘river city’ as the locals call it, is one of the world’s great cities. Liveability, affordability, scale and future economic prospects all suggest that Brisbane is a market where you can confidently buy. With improving economic growth and jobs creation supported by the biggest infrastructure spend since the 2011 flood recovery, more and more investors are now looking for opportunities in Brisbane where properties are more affordable, rental yields are relatively higher and future prospects for the market look bright. So, is it the right time to follow the sun and move into the Brisbane property market? That’s a question being asked by more and more property investors who have been priced out of Australia’s two big capital cities. Darren Brent, managing director of Property Bridge seems to think so: “Brisbane is much better placed than Sydney or Melbourne as a value proposition. John Mahoney, of Mahoney Lawyers agrees: “For a number of reasons I see the Brisbane property market performing reasonably well in the next three to five years. Brisbane’s population levels are increasing and the unemployment rate is improving. “Property values are falling in many parts of Australia, but the Brisbane property market seems to be steadily gaining pace. When asked specifically about the management rights sector, Mahoney adds: “Large and medium permanent complexes are still in strong demand and even smaller ones seem to be attracting strong interest. “We have seen no slowdown in transactions in this market over the past 12 months. Obviously, short-term complexes are not as popular in Brisbane and are not attracting the same level of multiplier, as there isn’t the same demand as on the Gold and Sunshine Coast for holiday lets, and they are seen to be more difficult to operate. Looking ahead, economic forecaster BIS Oxford Economics says Brisbane will lead the capitals, with 13 percent property price growth predicted by 2021. During 2018 house values in Brisbane rose by a modest 0.4 per cent while unit prices fell by 0.7 percent, resulting in overall growth of 0.2 percent. The property market is likely to record positive growth in the order of three to five percent this year as the underlying market drivers are now strengthening. Moreover, the decreasing number of listings and the slump in building approvals in the state are expected to boost prices further as supply becomes limited. Only around 5,000 apartments are due for completion this year, a far cry from 11,000 a few years ago. Not everyone believes the region’s capital is quite where it should be however. While certain gems in Queensland delivered fair returns for property investors in the past year, experts believe that the state, and particularly Brisbane, could have done better. According to Propertyology’s Simon Pressley, the state’s economy had failed to capitalise on the Asian Century phenomenon, or the notion that Asian politics and culture are prominent in the global economy. Still, the property expert believes that the next few years hold a brighter future for all of Queensland’s major metropolitan centres, spurred by the acceleration of interstate migration and a boost in the mining sector. According to the Brisbane City Council Economic Development Plan 2012-2031, despite uncertainty elsewhere, the economy is predicted to be worth more than $217 billion by 2031. The affordability factor, with Brisbane’s median house price now far lower than Sydney and Melbourne, as well as higher rental returns, is likely to drive more interstate investment into the city. And as we’re hearing across the board, local affordability and the lifestyle advantages has resulted in strong interstate migration (+17,426 last year) up 50.5 percent from previous year. At the same time 12.7 percent of our overseas migrants are settling in Queensland and interest from foreign investors is rising. So, where are these buyers coming from? John Mahoney responds easily: “The majority of our buyers are Chinese – both locals and from overseas, but the experienced Australian buyers are still active. I would estimate that around 75 percent of management rights in Brisbane are held by Chinese interests,” he adds. When asked if brokers are seeing any sort of cycle or trend regarding sales, Greg says: “January is often the month where people are relocating from interstate or coming in from overseas so there is always a good level of demand in the second half of the calendar year and over the Christmas period. 2018 was no exception with a very busy last quarter. “Over the last twenty years Australia has been very successful in attracting skilled workers to our shores,” says Darren Brent. “This has been an important factor underpinning our record run of continuous economic growth. And if we are going to extend this run of growth, then migration will have a huge role to play. According to HIA, Australia’s population grew by 1.6 per cent over the year, with Victoria and ACT seeing the largest rise at 2.2 percent, followed by Queensland with 1.7 percent, New South Wales with 1.5 percent, Tasmania with 1.1 percent, Western Australia with 0.8 percent and South Australia with 0.7 percent. And according to the Australian Bureau of Statistics 2016 Census the population of Greater Brisbane, which encompasses the local government areas of Brisbane, Logan, Ipswich, Redcliffe and Moreton Bay is 2,270,000. This is expected to continue to experience solid growth at an average of 62,410 people per year over the coming 10 years. While family households are expected to see the largest increase over the next 10 years, the Australian Bureau of statistics projects that lone person households will have the highest growth rate leading into 2028, averaging a 2.4 percent increase per annum. This is followed by family households which have a projected average growth rate of 1.8 percent per annum over the same time frame. Group households are set to see the smallest growth rate at an average of 1.4 percent per year. Like everywhere else in Australia, the Brisbane property market will be driven by demographics – where people want to live, how they want to live and how much they can afford. Within Brisbane, it appears that southern migrants and local upgraders are favouring premium property in blue chip inner ring areas close to the CBD and/or the river, leading to above average growth in desirable neighbourhoods like Hamilton, Paddington, Bulimba, Canon Hill and Auchenflower. But as always, the market remains fragmented. Where some areas underperformed, 68 suburbs far exceeded the average level of growth and almost a dozen Brisbane suburbs had double digit price growth over the last year. And there are tens of thousands of properties out there that could all have their values increased through simple renovations. “A couple of interesting trends are emerging,” adds Brent. Currently, the market is being infiltrated by Sydney investors ‘buying blind’. According to an article in Domain, Sydney investors are increasingly buying properties in Brisbane solely on photographs and skipping inspections. Research shows that those suburbs close to the city centre generally perform better than all others over the long-term, with ‘gentrification’ being one of the significant changes occurring and pushing up inner- and middle-ring suburb property values. “Where the apartment rental market used to be largely aimed at the under 30-year age bracket, those making the move are increasingly in the 50-plus age group. They have often owned homes in the past, but are choosing unit living, with services and amenities, as it better fits their empty nester lifestyle,” says Jorgensen. Interestingly this isn’t caused by deliberate planning policy or the recent glut of available units, but rather has resulted from a set of demographic changes that have occurred in most major capital cities around the world. The exodus of industry, migrants and many workers made way for gentrification of the inner suburbs where initially house prices and rents were cheaper than in the suburbs. The changing demographics with declining household size, means that small inner suburban dwellings or apartments provide ideal accommodation for the expanding cohort of professionals who work in or close to the CBD. Gentrifiers are initially drawn to these inner suburbs by the low maintenance living, educational opportunities and lifestyle, and this trend continues today as more and more Australians are swapping their back yard for apartment living. Having been the focus of much negative attention due to excessive supply levels, the river city’s apartment market values have started to rise, which may be a signal this sector of the market has reached its tipping point. Consultancy BIS Oxford Economics expects new apartment completions in Brisbane this calendar year of 5700, almost half of the 10,700 they peaked at in 2017, and with new supply moderating, the sector is expected to continue its recovery into 2019. Rising demand will slowly absorb this excess stock, the only question remaining is just how long this will take. According to REIA, loan numbers declined nationally by 11.9 percent and loan sizes also fell over the quarter, with the average loan declining by 1.8 percent—the largest quarterly decline since March 2017. Across the property market, tighter credit conditions and the changes in serviceability assessment are expected to continue presenting issues for both lenders and investors. “Banking has gone through a significant shakeup,” says Greg Jorgensen. “The slowdown that we've been seeing is very much due to credit availability, which Brisbane is not sheltered from," he said. “I'd like to think that it will get easier to secure financing for property, but there are some real changes being made around serviceability and I don't think that's going away. With the royal commission’s recommendation imminent, Jorgensen expects the current credit squeeze to continue through to the rest of 2019 but emphasizes that “with the population of SEQ expected to boom by a further 1.8 million over the next 25 years, the government needs to take steps now to manage the infrastructure requirements of future growth”. Justin Bond, partner, head of institutional sales, Queensland, said, “The maturity of the Brisbane investment market is becoming more defined, as many investors are drawn to Brisbane due to the infrastructure committed by the State Government and private sector. Moreover, a $5 billion-defence contract with Amberley is a significant boost to the region, along with a $340 million upgrade to the Cunningham Highway. There are many multi-million-dollar projects happening in and around Brisbane at the moment that are starting to create jobs, and more importantly get the economy rolling again. One of the biggest would have to be the addition of a second runway to the Brisbane Airport at a total cost of around $1.3billion. The project is due for completion in 2020 and after eight years in the making, will become Australia’s largest aviation construction project. When asked about any impending legislative changes that may have an impact on the market, Darren Brent states: “There is always economic and business uncertainty in the lead up to an election, and any hiccups are dependent on both the federal and state government legislatives’ agendas. And as if the environment isn’t sufficiently fluid, my interviewees were all asked what they predict for the market in 2019/20? Greg Jorgensen is a little more cautious. “I see 2019/20 being moderate with stronger patches than others; a more conservative banking system is likely to subdue buyer volumes and therefore sales. So saying, it remains a buyers’ market in most price sectors of management rights with the hot property seeming to be ‘bolt-ons’ or ‘add-ons’, where there’s no real estate to buy, only the business, which can be run off-site from another location. All-in-all it appears that Brisbane’s property market is ripe for investment – its economy is improving, population is growing, infrastructure is being added and property remains affordable. Your biggest challenge will be to find the right property to buy.